The central truth is set forth at the beginning of the sermon, in deductive fashion: It is the spirit of a truly godly man, to prefer God before all other things, either in heaven or on earth. 1. A godly man prefers God before any thing else in heaven. 2. It is the temper of a godly man to prefer God before all other things on the earth. The saint prefers that enjoyment of God, for which he hopes hereafter, to any thing in the world. The saints prefer what of God may be obtained in this life before all things in the world. The saints prefers what he hath already of God before any thing in this world. What is it which chiefly makes you desire to go to heaven when you die? If you could avoid death, and might have your free choice, would you choose to live always in this world without God, rather than in his time to leave the world, in order to be with him? Do you prefer Christ to all others as the way to heaven? If you might go to heaven in what course you please, would you prefer to all others the way of a strict walk with God? Were you to spend your eternity in this world, would you choose rather to live in mean and low circumstances with the gracious presence of God, to to live forever in earthly prosperity without him? 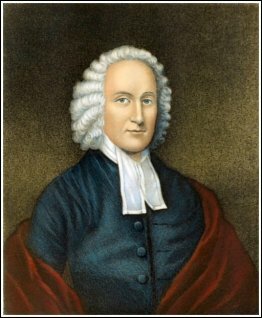 Jonathan Edwards offers perspective and godly wisdom in a sermon that directed his 18th century hearers heavenward and continues to beckon followers of Christ to the Celestial City.